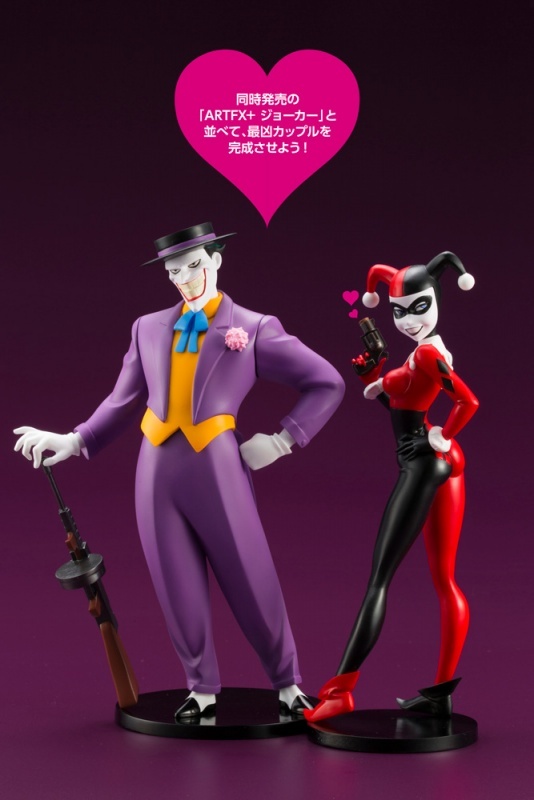 One of the best incarnations of one of the best villains is getting an excellently crafted figure with his best gal right behind him. 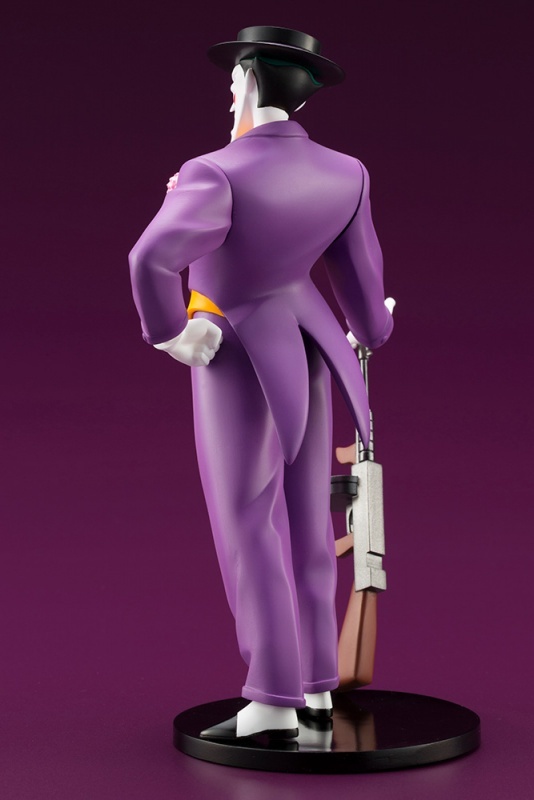 The Japanese company Kotobukiya is currently offering this Batman: The Animated Series Joker figure currently on pre-order in Japan to release this August. There is currently no word on a US release, but seems likely that it will happen eventually, so we’ll be sure to update as we get information in that regard. 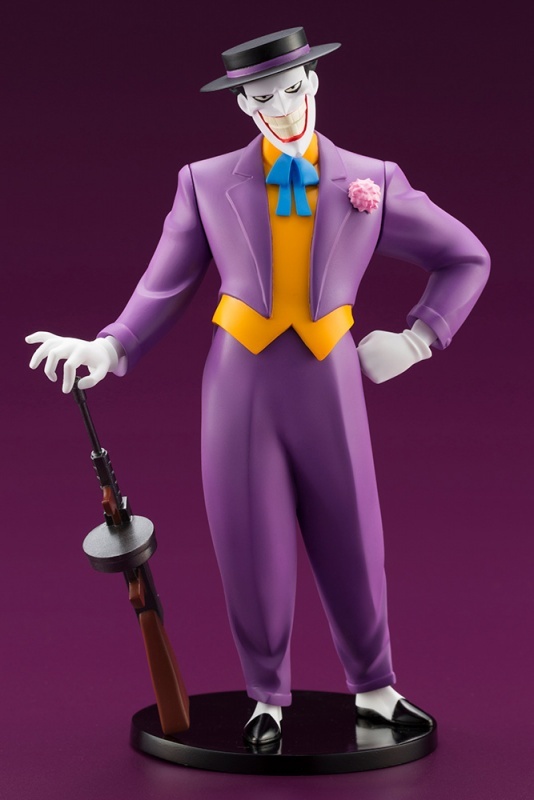 Joker stands 170mm (~6.7″) tall and is crafted from PVC with interchangeable arms and multiple facial expressions to encapsulate the wide array of different Jokers that Bats might run into at any given moment. 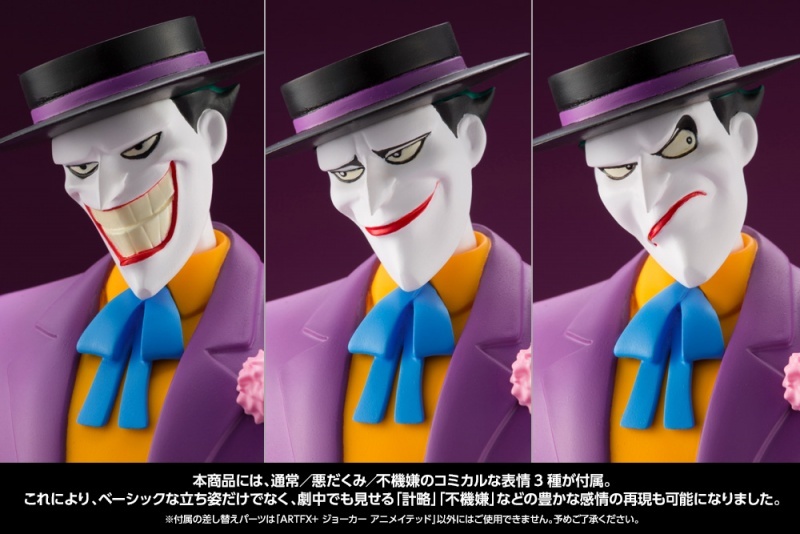 The animated version of the Joker finally appears! ! In the 1990s, there was an animation series produced with the success of T. Burton’s film “Batman” series. It was a piece of a miracle complete type miracle that glows with a dark atmosphere of Noir tone that adults can enjoy as well as a bitter taste line spinner. 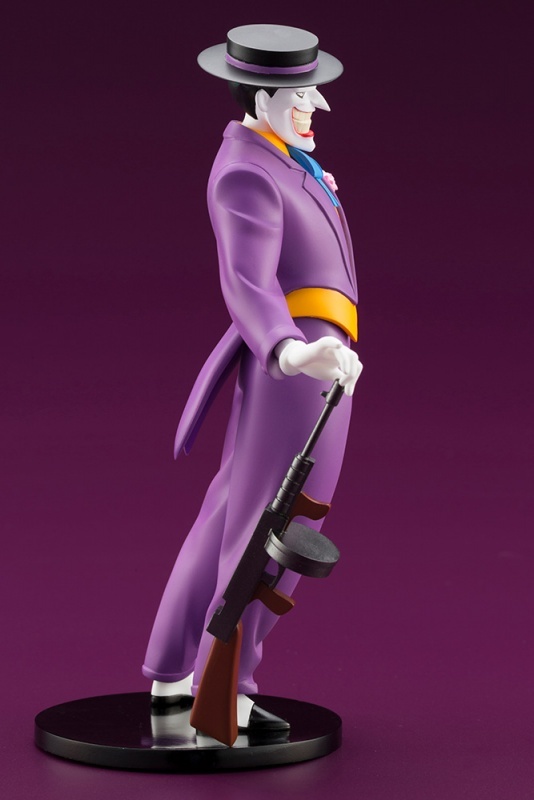 And today, that enemy Joker finally appears in the ARTFX + series. Three-dimensional based on concept art with a hat on machine gun. It also reproduced the majestic standing pose suitable for him with the nickname of Prince Takahashi in criminal circle. This product comes with 3 types of comical expressions / normal / bad mood / bad mood. This makes it possible to reproduce not only the basic appearance but also rich emotions such as ‘strategy’ and ‘unhappiness’ that can be shown in the play. As a bonus parts, two express expression parts of Hawley Quinn (simultaneous release, madness, big fail! Face) are included. Let’s create your own best Joker! 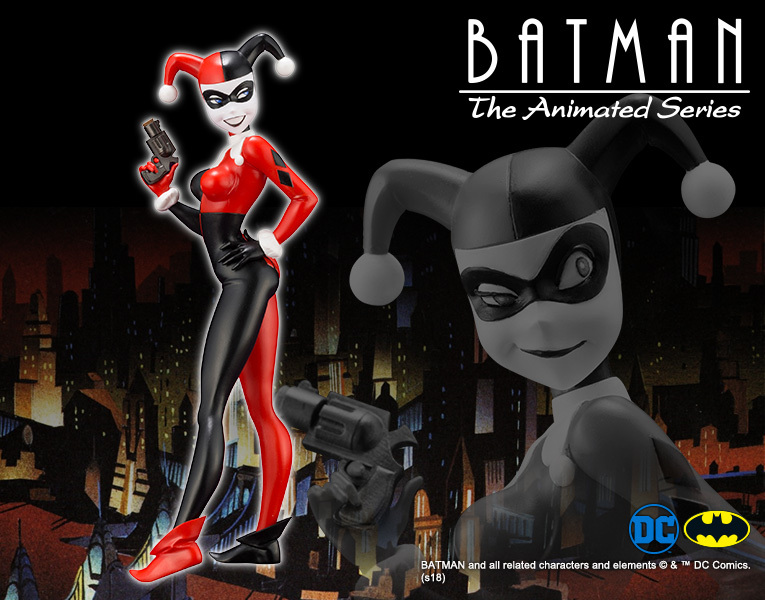 Never willing to let him be alone for more than a minute (at least in Batman:TAS), Harley will also be following along with the same release schedule. 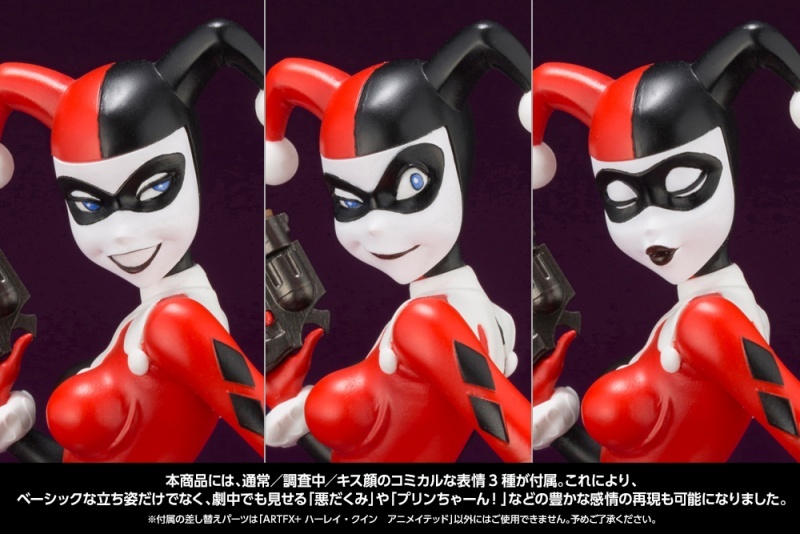 Harley will come with multiple replaceable facial expressions and stands 160mm (~6.3″) tall. 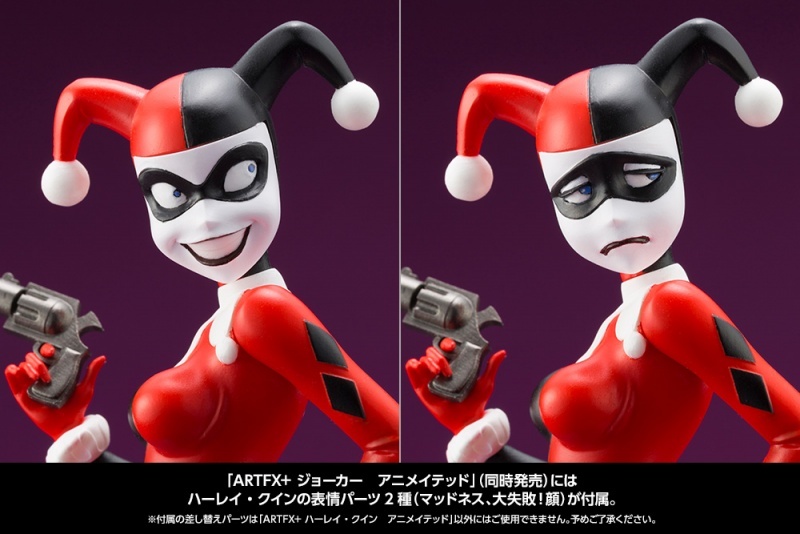 Animated version of Hurley Quinn & Joker finally appears! And, modern, animated version of Hurley · Quinn finally appears in the ARTFX + series. Anime version Hurley Quinn drawn by Bruce · Tim is popular enough to be reimported back to the comic later. On the right hand, I got a big handgun and made it three-dimensional with a cute standing posture that smiled unfriendly. This product comes with 3 types of comical expression of regular / under investigation / kiss face. This makes it possible to reproduce not only the basic appearance but also the rich emotions such as “evil Dakimi” and “Pudding chan!” That can be shown in the play. The pedestal is the base of the metal plate, with the magnet built in the sole of the foot, it is possible to display it in close contact with any position and joker. 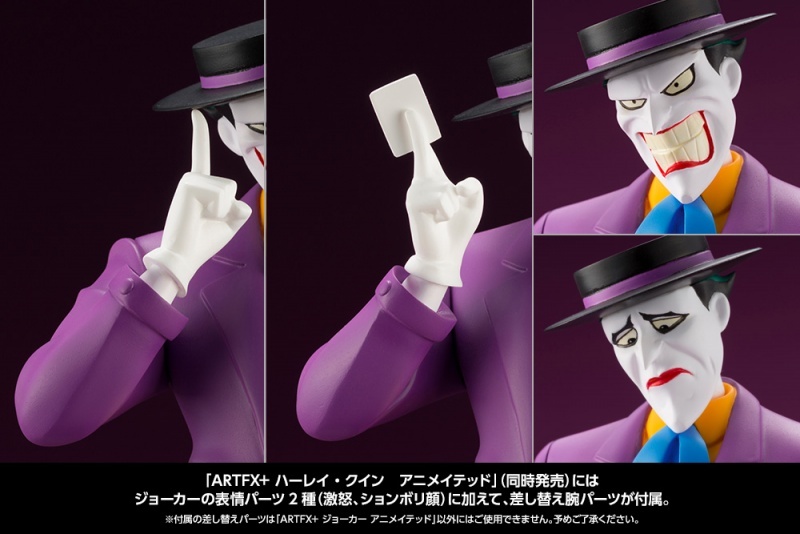 As bonus parts, replacement arm parts are scheduled to be added in addition to 2 kinds of joker expression parts (rage, Tomboli face) released at the same time. Let’s create your own Best of Hurley Quinn you think! The bases have magnets, so Harley might start slowly inching toward Joker when you’re not looking.